BikePark Wales will be 5 years old this August and it’s amazing to look back just a few years to 2013 when we first opened with 22 trails. The dream was always to reinvest and continue to grow our trail network and we are over the moon to be opening 7 new trails this June, taking our trail network to a whopping 40 trails in 5 short years. This project has been the biggest trail building project since we opened. 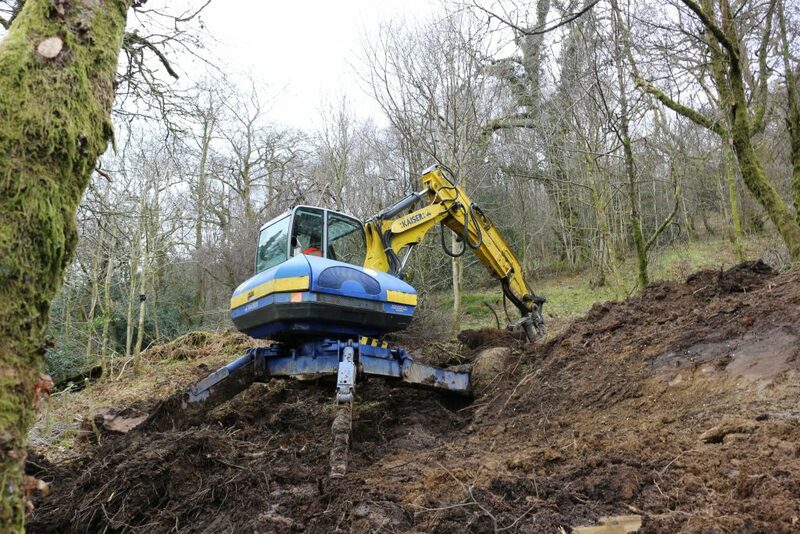 Trail builders Back-On-Track have been on site for the last 4 months with over 3,000 man hours, 2 snapped digger booms, hundreds of huge rocks moved and zero imported material. To say it’s been busy would be an understatement! So, what exactly have we been working on? Well, throughout June we’ll be opening 3 blue trails, 3 red and 1 black. Naming new trails is always a tricky job and with 7 to think of, we needed to enlist some help. As many of you know we asked you to suggest a name for our new lower red trail. We were blown away by the number of awesome names sent in so we decided to name 4 of the new 7 trails with your suggestions. In addition, Abercanaid Community School held a ‘Name a Trail’ competition, and the final two were named by the team here at BPW. We’ve also introduced a new style of trail named ‘BPW Blend’. Previously our trails have been built to be either Flow; with wider, generally smoother surfaces, berms, rollers and jumps, or Tech; with more rock and root features and rougher more technical surfaces. A blend trail literally does what it says on the tin and mixes the two styles together. Take Watts Occurring, our brand new red blend trail for example. 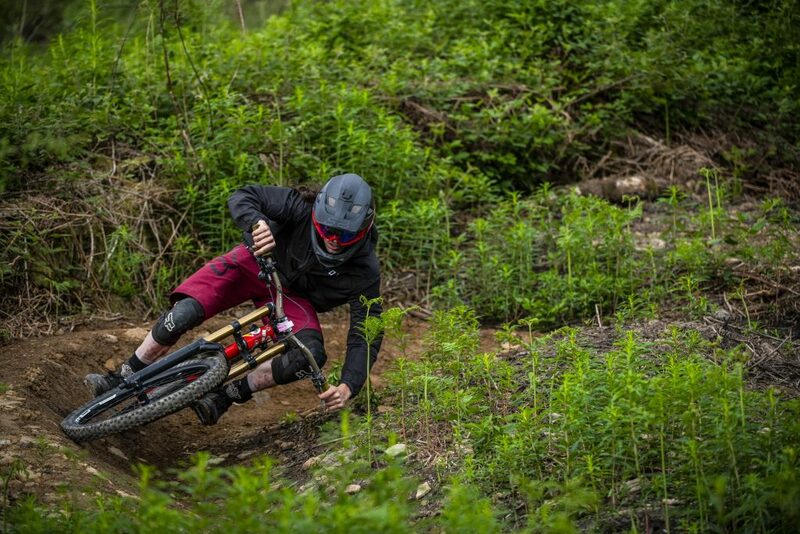 One minute you’ll be railing berms, flowing over sculpted jumps and next you’ll be picking your way through a huge scree slope filled with rocks! Blend trails really allow us to work with the vast choice of terrain that we have here at the park and offers riders a truly varied riding experience. Another exciting addition is our first blue ‘Tech’ trails, Fforest Bump and Off-Grid. Previously all our blue trails have been surfaced flow trails. 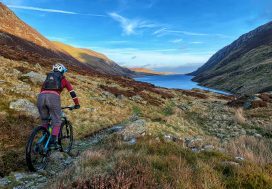 Fforest Bump and Off-Grid offer an introduction to tech trails and are unsurfaced so will develop into more rooty and challenging trails giving riders the perfect tech practice before jumping onto the red trails. So, when exactly are the new trails open? 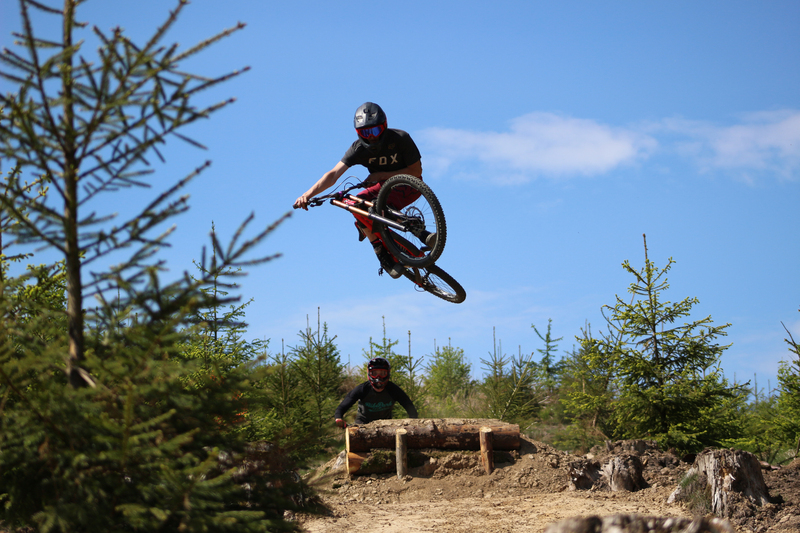 The team have been working hard and we’re stoked to say that AC DC, Watts Occurring, Blackadder and Off-Grid will be open from 1st June and the remaining 3 trails will open shortly after. We’d normally open one new trail at a time, why are we all of a sudden opening 7? 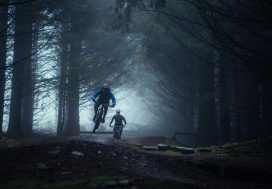 Well, we love nothing more than building new trails and seeing riders enjoy them, and we announced recently we are really stepping up the development of BikePark Wales. Additionally, The National Grid will be replacing the large overhead power lines that cross part of the park. As a result, as of 1st June, we’ll need to close Roots Manoeuvres, 50 Shades of Black, the lower section of Terry’s Belly and the lower section of Hot Stepper for one month. To help offset the disruption, The National Grid have been awesome and have made a contribution to help us build the 7 new trails. From all the team here at BPW we hope you enjoy the new trails. As always thanks for all your support and hopefully we’ll see you at the park soon.